Don’t miss the Gateway Greening “Spring Plant Sale” coming up on Saturday, April 6, 2019, 9 a.m. to noon, located at 3841 Bell Ave., St. Louis, MO 63108. Learn how to get involved or volunteer HERE. 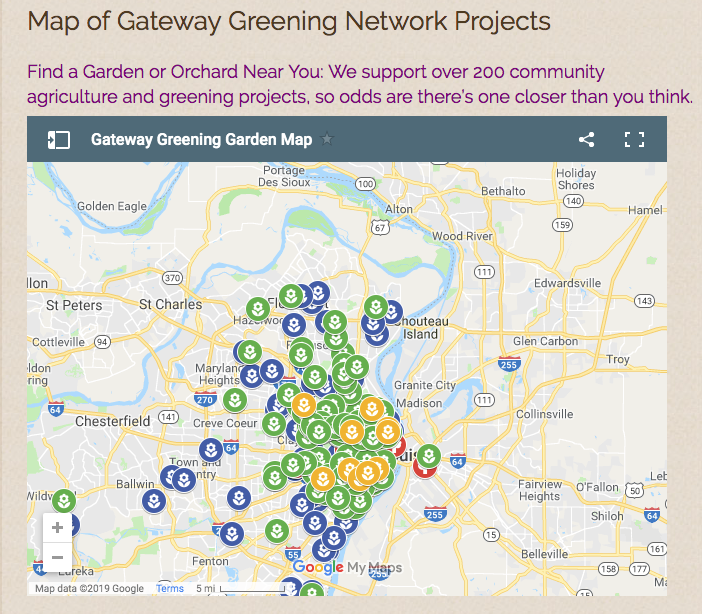 See an interactive map of local gardens and greening projects HERE.